Here is block number #50 of the Deli Geese Block Project! Block #50 Babe, uses the Top Units from Dark Flying Geese units. Details of making the units are found here. A – four Top Units from Dark Flying Geese units. 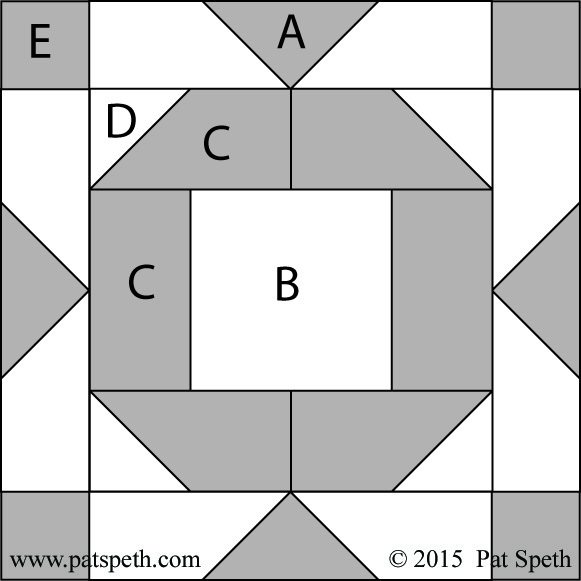 D – four 2 1/2″ squares background, added to four C pieces with the connecting corner method that can be seen here. 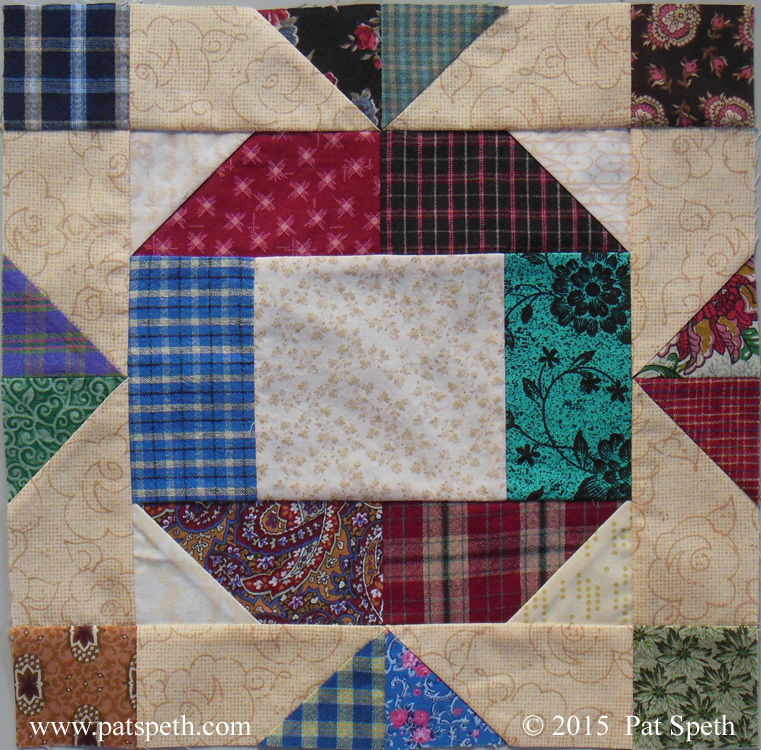 This block as well as many others in the Deli Geese Block Project uses 5″ squares. It’s a great block for charm packs, layer cakes, and of course stash fabrics. Deli Geese, because they’re sliced !